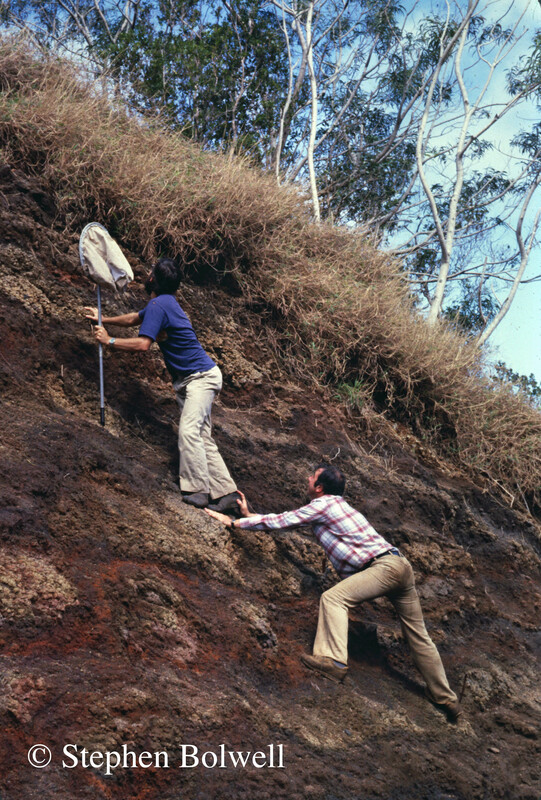 Before We Had Brains 2 – Of Arthropods and Other Things. Long before humans developed the brains they have today, a great many other animals had already evolved co-ordinated nerve centres completely effective in directing their everyday lives. In ‘Before We Had Brains 1’, I considered what might have been our earliest vertebrate ancestor – probably a worm-like creature that lived in the sea; and before that we must have passed through a variety of preceding invertebrate stages – it’s been a long road. Almost as extraordinary is that while we were on the evolutionary march from comparative simplicity to our present complexity, many other animals hardly changed at all. 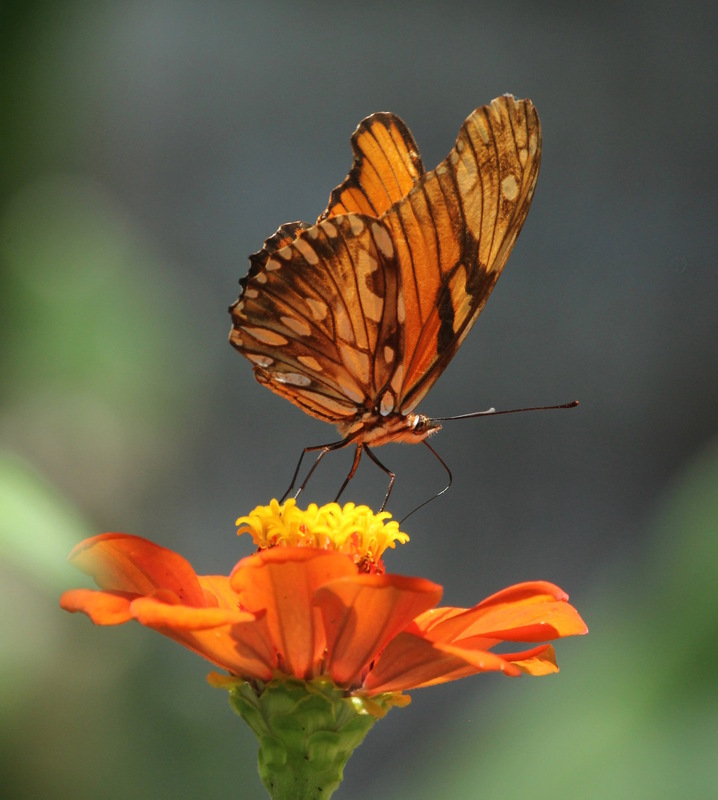 Butterflies showed up on Earth around 150 million years ago – about the same time flowering plants began to enter the fossil record, and this is unlikely to be a co-incidence. Once a species has adapted through the evolutionary process to an environment that remains fairly constant, there is no advantage to making further dramatic changes. What is certain is that while animals on our branch of the tree were evolving more complex nervous systems, many invertebrates were sticking with something quite different. The model for a brain-like structure at the front end – common to all vertebrates – was laid down in invertebrates millions of years ago, but many also evolved multiple masses of ganglia to control body functions in a manner very much different from our own. The well developed nerve ganglia at the head end is close to organs such as ears, eyes and antennae that have developed to receive incoming information. But other masses of nerve ganglia have also developed along the main nerve that runs the length of the body – additional mini-brains if you like – that co-ordinate different parts of the body. Sensory information is also picked up in ways that we would consider unusual – grasshoppers for example can hear through their knees and pollinating insects see patterns on flowers in the ultraviolet range. These are inputs that we have no direct experience of and in consequence sometimes find difficult to comprehend. 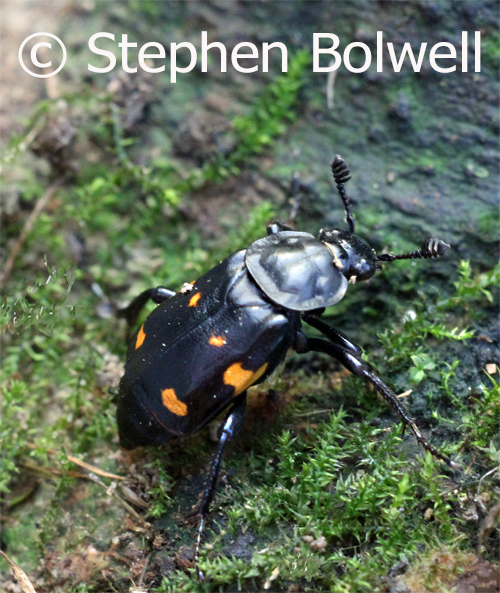 The sexton beetles makes a successful living burying small dead animals; the females lay eggs on the corpses, but first these have to be smelt out by chemoreceptors on the beetles specialised antennae which are raised above their head ends to receive the necessary olfactory information – this is processed by a nerve ganglia at the head end, but other functions,such as mobility, may be controlled by nerve centres elsewhere along the body. The large and varied Phylum Arthropoda contains animals with external skeletons and segmented bodies with jointed limbs paired in keeping with their bilateral symmetry; they include the Arachnids (spiders and scorpions), Myriapods (centipedes and millipedes), Crustaceans (crabs, lobsters and woodlice) and last but not least – Insects; and all have a very different arrangement of their nervous systems than we do. Arthropods have become extremely successful, forming a major part of life on Earth, and it is a surprise that we so often view them as aliens – the templates for creatures formed in our wildest imaginings; the sort of things that regularly crop up in our sci-fi stories, and usually portrayed as agressive invaders from another world. Trilobites were once well represented in the world’s oceans, but all perished during a great mass extinction at the end of the Permian around 250 million years ago. 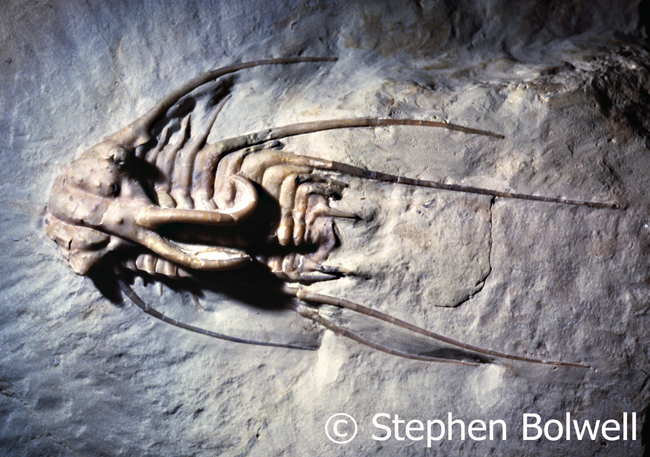 These Arthropods are now only known because they are well represented in the fossil record. Extinct maybe, but this Dicranurus species just keeps cropping up in horror movies, an inspirational creature that rarely receives credit for its influence on popular culture; nevertheless it’s form is frequently faked and sold to fossil collectors. 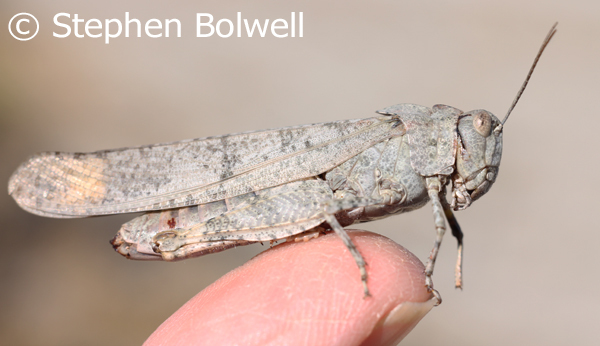 With the millions of nervous systems available, it seems a poor effort to display only one, but I have chosen an example that in general form covers many other insects – it belongs to a grasshopper, and I also have a story to tell. As a zoology student I frequently glimpsed the internal structure of the grasshopper’s big brother – the locust, and this provided at least a rudimentary understanding of the insects behaviour in relation to its nervous system – or at least as good an understanding as is possible for one who has only one brain. Grasshoppers, like many other Arthropods, have fused nerve ganglia arranged internally along the ventral side, and it is fair to say that the head end ‘brain’ does not make all of this animal’s life decisions. 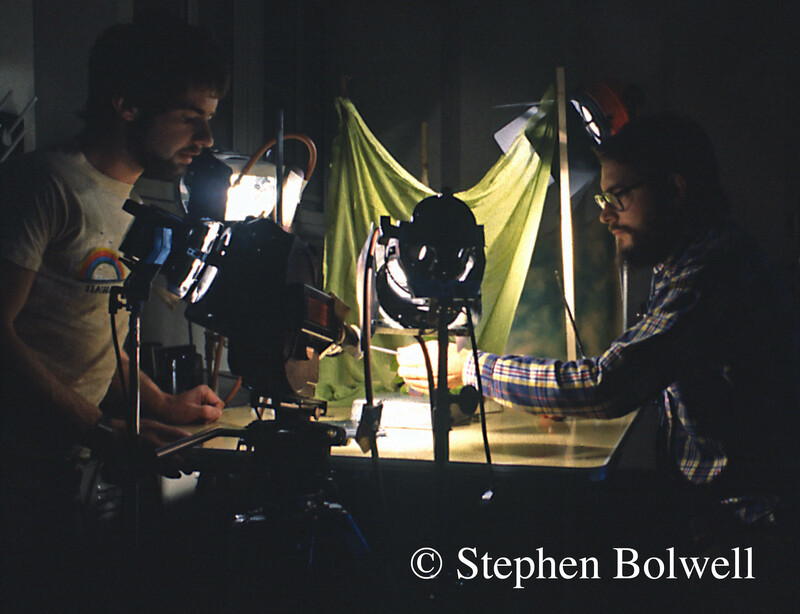 Way back when I was a zoology student, our college expected everybody to work hard for a degree, but on occasions I didn’t feel inclined to fill every waking hour with study, and having finished a series of experiments on how insects see, didn’t feel inclined to attend through a Friday afternoon. As an impetuous ‘know it all’, I felt every aspect of the subject had been adequately covered; as did my co-worker, another student, who just like me, wanted to broaden his educations beyond grasshopper behaviour. Our university was in London and not too far from The British Museum where a Tutankhamun exhibition was about to end. It would probably never leave the Cairo Museum again and as the world shouldn’t revolve around insect brains (although judging by their numbers, it probably does), we decided to take the afternoon off and visit the exhibition. Decisions, decisions: do yet another experiment on what this fellow is thinking – and I use that term loosely – or go and see the contents of a dead king’s tomb? 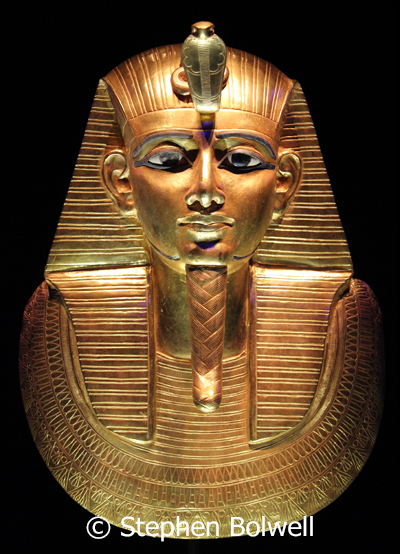 It was of course a no brainer; we would take time out to visit King Tut’s extensive hoard of guilt edged burial tat. It was another ‘no brainer’. We would go and see KIng Tut’s extensive and exceptional burial tat. Once out of the lab we’d simply make up a thought experiment like a couple of Victorian armchair naturalists. Our experiments had already shown us that if the image of a sharp edged object – such as a blade of grass – passed rapidly across the compound eye of a grasshopper, the insect would react by jumping. We knew that the hopper would react to a sharp curved edge because that’s the way grass leaves are, but we took it a stage further by theorising that evolution would first and foremost select for a sharp straight edge over a curved one because the former would provide a stronger stimulus when it moved across an insects compound eye, firing off neurons more effectively. The experimental set up we’d been using all week was a simple one – a bit like a super sized hampster wheel on its side with regular grass shaped incisions cut into its rotating surface. The wheel could be spun around at various speeds with the hopper sat at the centre. But of course we had no plans to actually test our theory using it. We would instead set off for the museum and write the thing down on a scrap of paper as we travelled on the underground. Rather unsurprisingly… our theory turned out to be spot on, with a 15% increase in the grasshopper’s reaction to a straight edge over a curved edge. It was then a simple process to work our figures backwards and even devise a statistical test to make sure our results were significant, rather than a matter of chance. Clearly something new and quite fictitious had been added to the pantheon of scientific discovery; satisfied with our work, we went on to join the queue outside of the Museum, and once inside, had a great afternoon in what seemed a fantasy world almost as impressive as the one we had just invented. 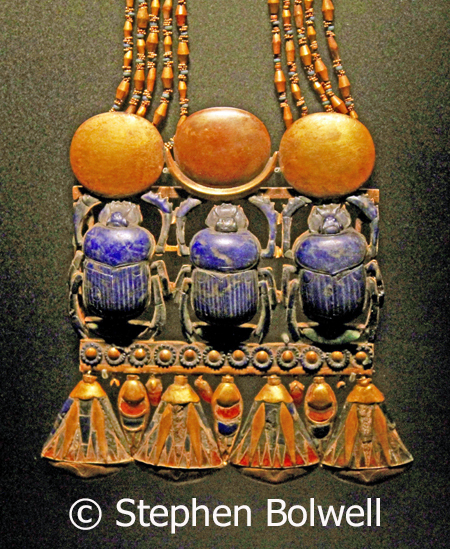 Our museum visit was not entirely without reference to entomology – the Ancient Egyptians were fond of dung beetles. The experiment was written up a few days later and submitted. We thought no more about our harmless deception, until a couple of weeks later our supervisor stopped us in a corridor to congratulate us on our work and insisted that we must submit the findings to a major scientific journal….. Now, if our brains had been working as efficiently as our make believe grasshopper then we might have seen this coming. Terrific we said, but of course we’d have to repeat the experiment to be absolutely certain. I’ve always been hopeless with repeats, all my experiments seemed to invalidate earlier results, usually because I didn’t stop when I was ahead – even though one might expect a pretty clear result with an insect brain, my own brain was less well organised. We never repeated anything of course. Utilising the same thought experiment, we quickly discovered that we couldn’t repeat the results, much to the disappointment of our supervisor. For us, it was a great relief to get off the hook, because nobody wants to start their scientific careers as fraudsters – any scientist so inclined probably needs to work up to it. A group of hoppers in their natural habitat are well organised feeders. Not quite a plague, but there are enough youngsters here to make short work of this undergrowth. The important thing about our non-existent laboratory experiment was that the details were convincing because we had a fair idea of how a grasshopper’s brain might interpret what it’s eyes saw, because the hopper wasn’t thinking about very much, it was simply reacting to a visual stimulus. It is usually possible to gauge how good an animals eyesight is by simply looking at the eyes – size is always important even with a compound eye, which sees things very much differently from a vertebrate eyes, even though there are similarities in the neural process. For any who have looked inside a grasshoppers head, it is clear from the amount of nerve material dedicated to the eyes and brain in this region, that this must be true. But what about those other nerve ganglia along the body. For any who have undertaken experiments more thoroughly than I have, it is clear these centres co-ordinate a variety of bodily functions without reference to an anterior brain. I don’t advocate nasty experiments, but a cockroach without a head, and with the rest of the body sealed off with a blob of wax, will run around for several days… and it is noteworthy that you didn’t get that so much with Anne Boleyn. Success then, is not always about the complexity of a system, it is about appropriateness to a situation; despite millions of years of appearing to show very little change, most insect nervous systems have had plenty of time to fine tune to specific environmental circumstances. 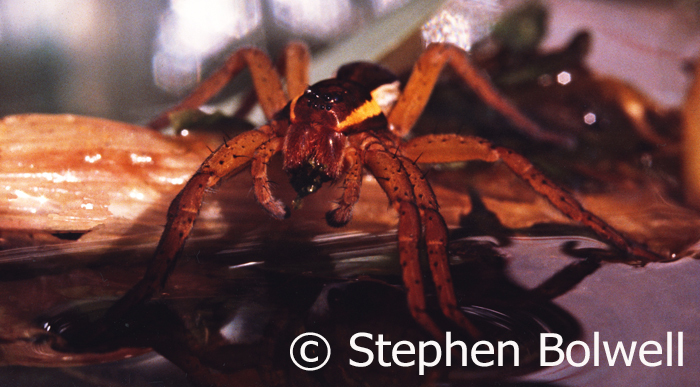 Spiders manage an enormous variety of behaviour from one species to another. With as many as six to eight eyes they are ferocious preators, but how they process and co-ordinate incoming visual information is to some degree beyond our comprehension. Arthropods may appear rather odd looking, but there is no doubt their bodies are fit for purpose, even though we might consider an insect’s level of complexity no match for our own. Sadly, the truth is they might well survive some environmental disasters that we cannot. It is presently too soon to judge ‘us’ a major success because our tenure has been short in comparison with many simpler forms that have existed for many millions of years; and stood the test of time. A Trilobite which is perhaps more recognisable than the previous alien form. 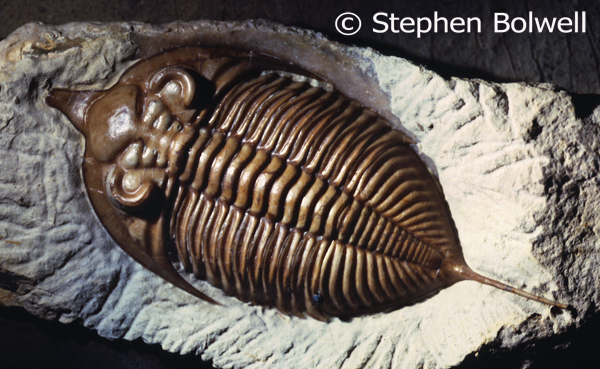 Trilobites are a stark reminder that an animal group can reign successfully in a wide variety of forms and then quite suddenly disappear when conditions change. 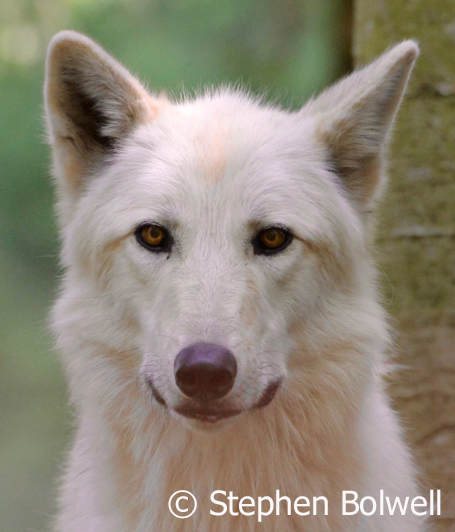 All species are inevitably destined to change or finally become extinct – there are no exceptions.. 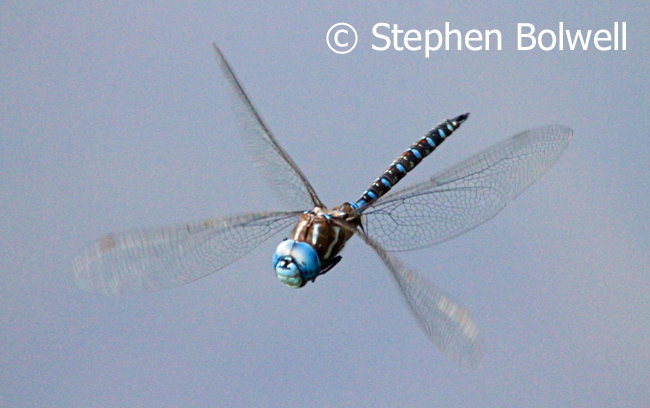 So, which of the vast number of present invertebrate survivors display the most sophisticated nervous systems. Certainly Crustacea such as crabs and Arachnids such as spiders show interesting refinements in behaviour, and this often includes impressive courtship displays, none of which can occur without a finely tuned nervous system. 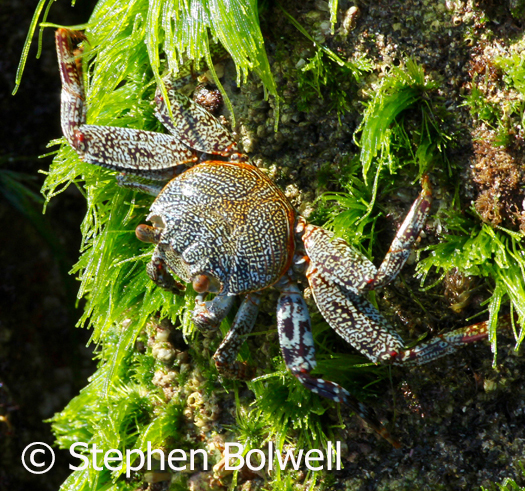 Crabs utilse six pairs of appendages to catch and deal with food – this includes their forelimbs which they use to great effect – and feeding is often their primary function as demonstrated by this Hawaiian rock crab as it delicately plucks seaweed off of a rock. The forelimbs of many also become more developed and used as pincers for defence and males sometimes wave them about during complex courtship displays to impress females; all of which requires a refined nervous system even within certain limitations. A lot of what a crab does is automatic and not a lot of neural activity is devoted to thinking. Crabs exist without philosophical thought. Rene Descartes said, ‘I think therefore I am’, but crabs are not well equipped to think about uses very much; their modi operandi makes them look like creatures with attitude, but b.s.ing is beyond them – sometimes neurological limitations are not such a bad thing. 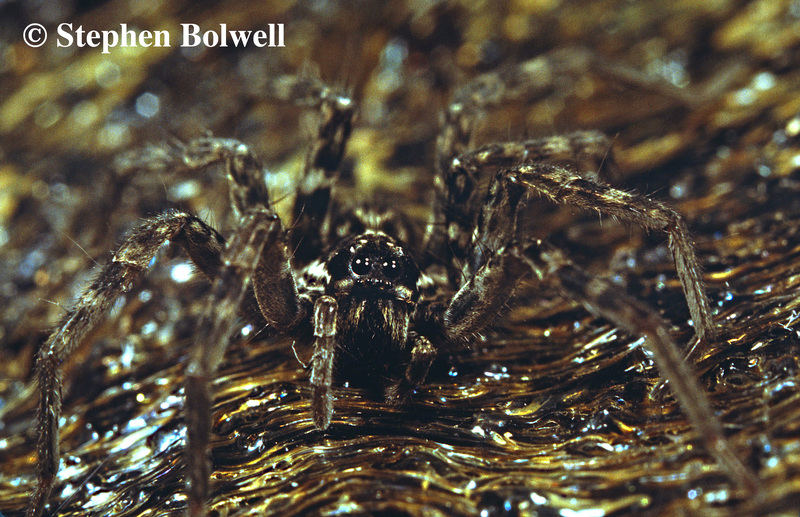 Spiders such as Dolomedes are not short on sensory ability. Visual signals are important, but they can also sense vibrations. Dolomedes is not a spider that uses a web, it utilises surface tension to stand on a pond’s surface and can detect ripples; the back legs rest upon something solid, the front legs upon the water’s surface, sensing for prey. Perhaps the most impressive invertebrate nervous system belongs to the octopuses. They are Cephalopods and part of the Mollusc family. It is difficult to watch a slow moving snail and consider this as a relative of such a fast moving intelligent creature. By any standards an octupus is a clever animal able to solve complicated problems. Some species have phenomenal eyesight, equipped as they are with eyes similar in structure to our own, these are often as big, or even bigger than their ‘brains’. 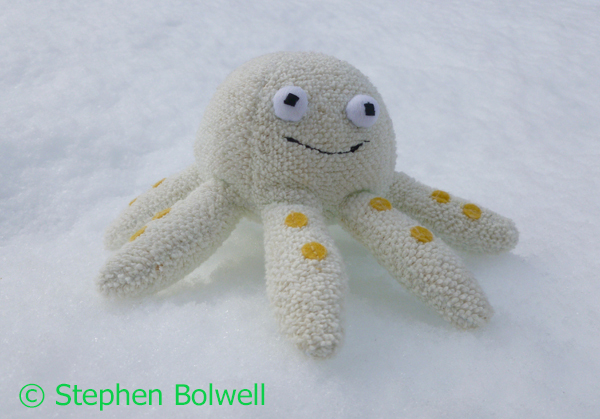 Octopuses are exceptional at co-ordination and can change colour rapidly to match their surroundings. None of which could be done without a complex nervous system. 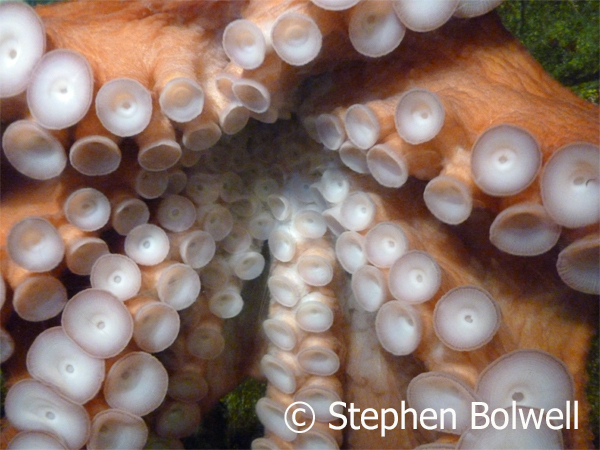 These tentacles belong to a live octopus, they are wonderfully co-ordinated and can often achieve extraordinary feats when executing complex tasks. The octopus nervous system contains as many as 500 million neurons with three fifths of this neural mass distributed in the tentacles. The brain is a lobed and compex in structure with substantial computing ability – and this is a creature that also has a good memory. The question is; with this well organised neural arrangement, does an octopus watch its own arms and wonder what they are up to as they go about doing their own thing, or is the main brain informed of every movement? Because our nervous system is ordered with a single brain doing all of the thinking, it is difficult for us to understand an animal with it’s thinking power distributed so widely throughout the body. When it comes down to it, there is no need to invent strange alien like creatures, because we have plenty of extraordinary looking animals on Earth already, and many of which analyse their surroundings very much differently from the way that we do, using ultraviolet, sonar, magnetic and other sensory processes and many catch aspects of the world that we cannot. The strangest of creatures are already here – it is just a question of paying attention to them because in the grand scheme of things, we probably can’t do without them. 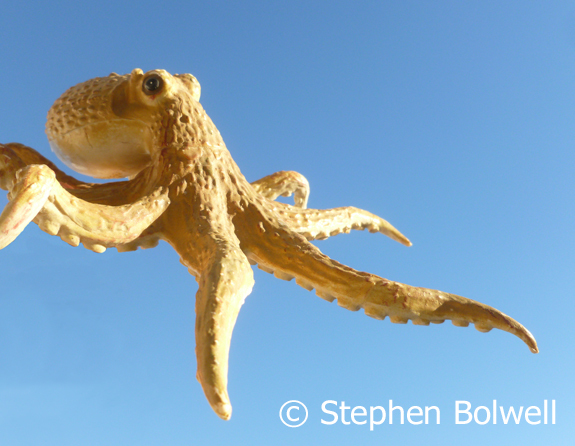 The multi-brained octopus has a computing power that rivals the ability of many vertebrates, but not this one it is just a plastic toy held up to the sky… Let’s pretend. Favoured animals always end up duplicated as toys – this one usually hangs out at the end of the bath. We should take photographs of all of the life that Planet Earth has to offer – even the small and seemingly insignificant forms because all have gone through a great many trials to survive millions of years of evolution. We owe it to them and to ourselves to pay more attention to the life that is around us; to notice and photograph as many species as we can, especially the ones that don’t immediately grab our sympathy or attention. All are fundamental to the success of natural environments and world ecosystems will ultimately suffer if they are lost. We need to record as many as we can, because species are now disappearing from the world at an alarming rate, many of them unknown to science. This is a sad state of affairs. So, ‘Take a picture and Save the Planet’, or at the very least, help to make a record of what might soon be lost to us. Next time: The Human Brain – Are We Too Stupid to Save the Planet? Before We Had Brains 1 – The Worm That Turned. As a child I spent many happy hours watching animals, especially the odd ones that other people mostly avoided… and it wasn’t long before it all made perfect sense to me. When I was old enough, I would train as a zoologist. “What will you do with that?” people would ask. “Work in a zoo?” Well, not exactly. Rather stupidly, it had never occurred to me to ask how zoologists make a living – I’d never met one, but I was certain it wouldn’t be a total waste of time; and when I finally managed to get qualified I was determined not to end up doing anything obvious – like teaching, or hanging on at university to research how best to kill small animals in the name of pest control. Instead I became a wildlife filmmaker specialising in the kind of animals that just aren’t cuddly – the ones without backbones that even ‘The Natural History Museum’ in London happily describes as ‘creepy crawlies’, More properly they are invertebrates and all get by with nervous systems very much different from our own. 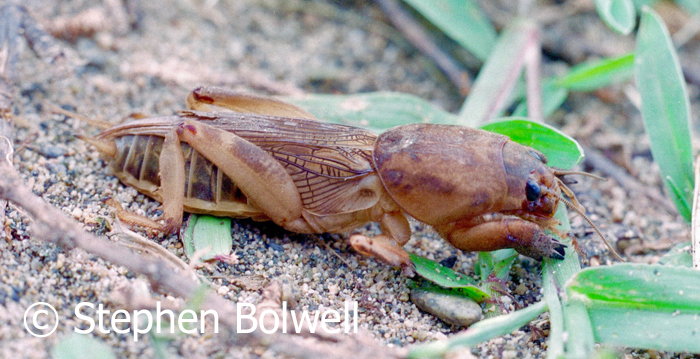 I’ve always liked animals that other people find less appealing – this one is a mole cricket which to me is rather beautiful in its own peculiar way. Many invertebrates have nerve bundles that act as co-ordinating centres; but it would be a stretch to describe these as brains, although technically they are clearly centres for computation. It is strange how selective we are. Butterflies are bug eyed monsters once you’ve got past their beautiful wings! When I was at school I wanted to learn more about how such animals worked; and if I came across a dead one, I would pick it up, take it home and delve inside to try and understand how internal structure matched up to external function. My parents were very understanding: they realised that my oddness was based upon science and not just that I was completely weird. Later when I became a zoology student this odd behaviour was suddenly recognised as a skill, and one that it turned out I was good at. Although dissecting animals didn’t seem that consequential, it did at least provide an opportunity to view the insides all sorts of animals that I would later spend hours observing from the outside. This may not seem important, but the way an animal’s nervous system is organised is fundamental to the way it behaves. Animal behaviour is about how creatures respond to external stimuli, and the way they do this is very much tied to the way their nervous systems have evolved – what works well for one won’t necessarily work for another. It’s all about lifestyle. A butterfly suddenly gifted with the sensory ability and nervous system of a gorilla wouldn’t last five minutes in the wild, even if such a neurological upgrade was possible. 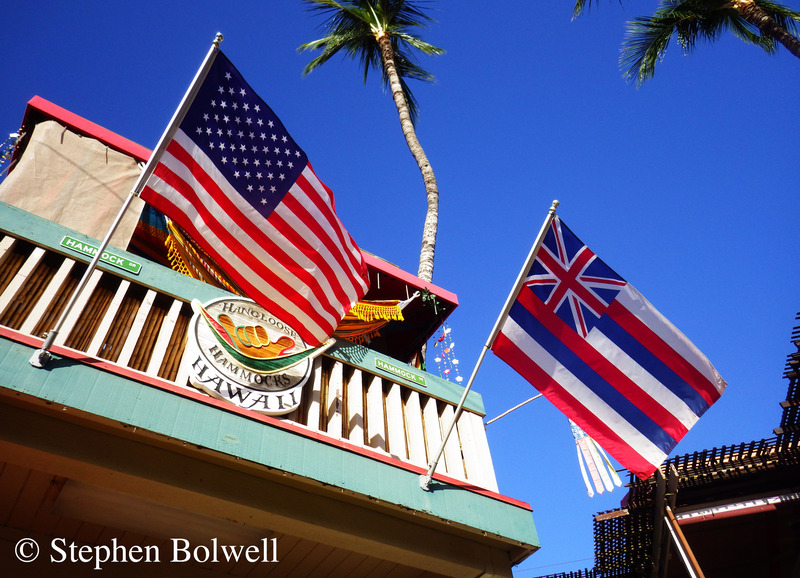 In the end, it is the precision and appropriateness of neurological responses to the environment that really counts. As humans, we are steadily losing contact with nature; if we all behaved as appropriately as an ant does in direct response to its surroundings, the World would be in better shape, but our lives of course would be far less interesting. This kaleidoscope of butterflies orientates in the same direction but they don’t need to think about it, the behaviour is hard wired. 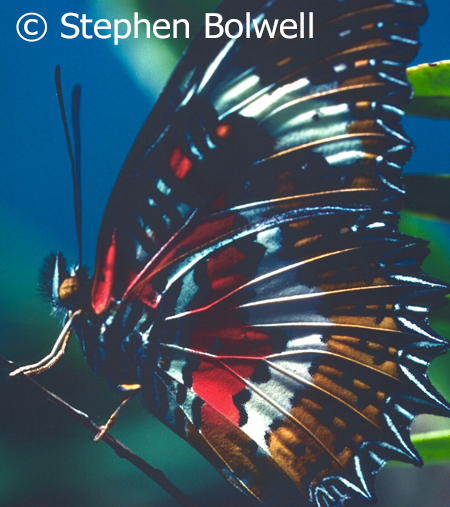 Over millions of years, previous butterflies that orientated appropriately – either to camouflage themselves, or, as is this case, to maintain body temperature, have survived to pass their genes on to the next generation. 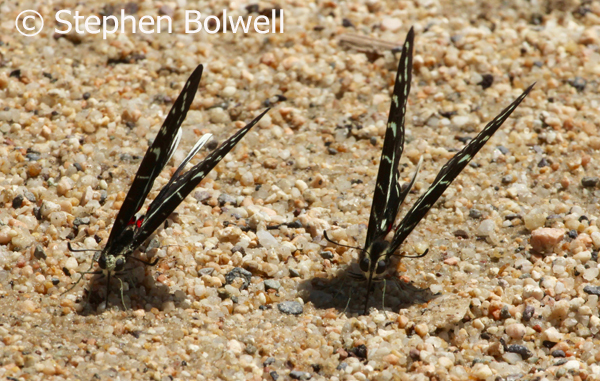 Here, a couple of butterflies are orientating to the harsh tropical sun as it moves across the sky; just after mid-day they are presenting as little surface area to its rays as they can. In Settled conditions it might be possible to tell the time by the angle of the butterflies wings throughout the warmest part of the day. In early morning their orientation is completely different – they have their wings open like solar panels to gain body heat and they don’t need a complex brain to think things through – it occurs automatically. You might think my regard for invertebrate nervous systems is little more than my brain justify my wasted youth, but a careful analysis of their neural structure can provide a better understanding of our own, even allowing for the obvious differences of compexity. Despite their simplicity, or perhaps because of it, some invertebrates appear better equipped for longterm survival than do we. Many have displayed very little change for millions of years, which suggests that keeping things simple works really well; evolution clearly follows the general rule, that if it ain’t broke, don’t fix it. Sea Anemones have been around for more than 500 million years and sea urchins for about 450 million, with some individuals, if they manage to escape predation, living for more than a couple of hundred years. 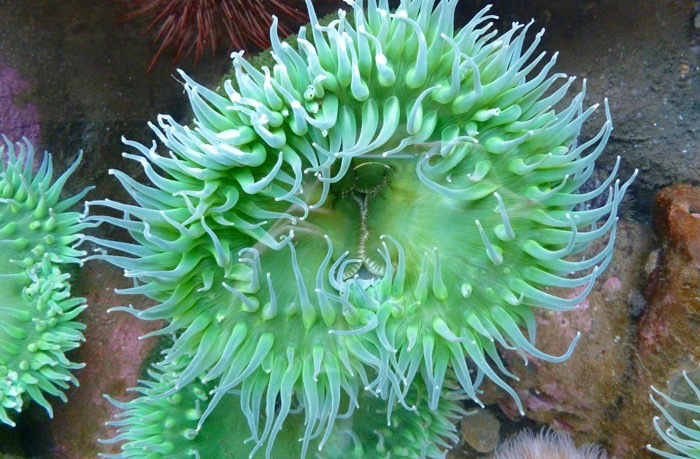 Sea anemones are predators, something that we consider a sign of superiority in more complicated animals, because vertebrate predators in particular have a lot more going on in their brains than do their herbivorous prey – wolves for example are more cunning than sheep – which appear… well, rather more sheepish. Yep. There’s certainly more going on behind these eyes than in any sheep. 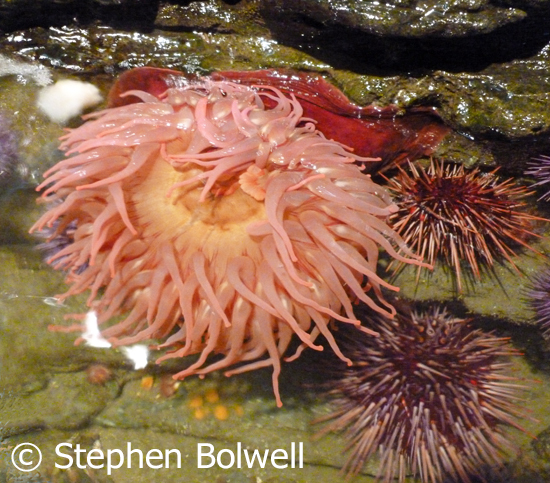 In comparison lowly creatures such as sea anemones rely entirely upon their prey floating by and are far less selective than the predators we usually notice – generally those with greater complexity. There are many uncomplicated invertebrates managing their lives with simple nerve nets, most of which do not have co-ordinating nerve bundles, and certainly nothing that comes close to anything that resembles a brain. 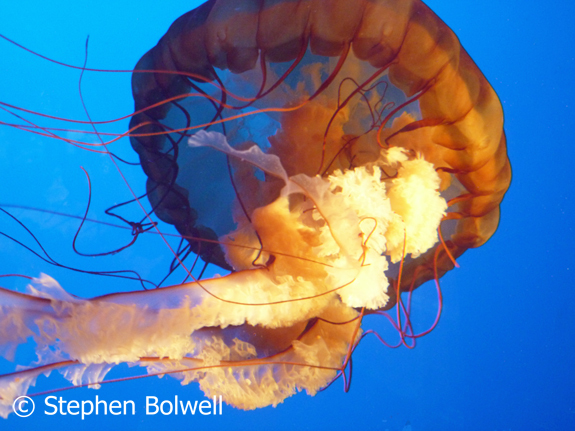 Nerve nets operate fairly simply – usually the greater the stimulus a jellyfish receives, the greater is its response. In a nerve net, sensory neurones pick up signals from the environment and transmit information to other neurones that are able to discern certain patterns of activity. In jellyfish these then transmit to motor neurones that will activate muscles dedicated to short distance propulsion. Animals with nerve nets are usually represented in form by radial symmetry – this can be clearly seen by looking up into a jellyfish where several similar parts of the animal are arranged around a central axis. It is surprising how much can be achieved with such a simple nervous system and it is one that is fairly easy to analyse due to its obvious lack of complexity. The great thing about sea anemones, sea urchins and jellyfish, is that they are incapable of over thinking a situation, to do so would quite literally take far more nerve than they have… We all know that jellyfish are spineless creatures, which in simple terms, makes them complete no brainers. 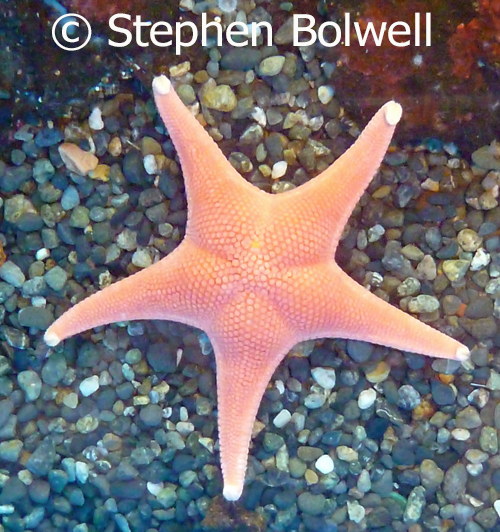 Starfish also demonstrate radial symmetry when viewed from above (or below). Animals that rely upon nerve nets do not, as the term implies, always have their neurones distributed evenly; sometimes these are denser in areas of greater neural activity and they may even be organised into very simple nerve masses or ganglia. The simplest animals – such as amoeba, don’t have brains, nerve nets or anything clearly recognisable as a nervous system – essentially these blob like creatures get activated directly by external stimuli such as touch, light and chemicals. 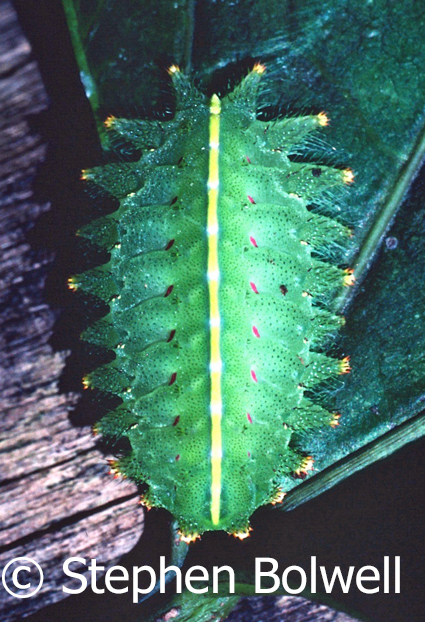 This caterpillar clearly has bilateral symmetry and even has its own central line. 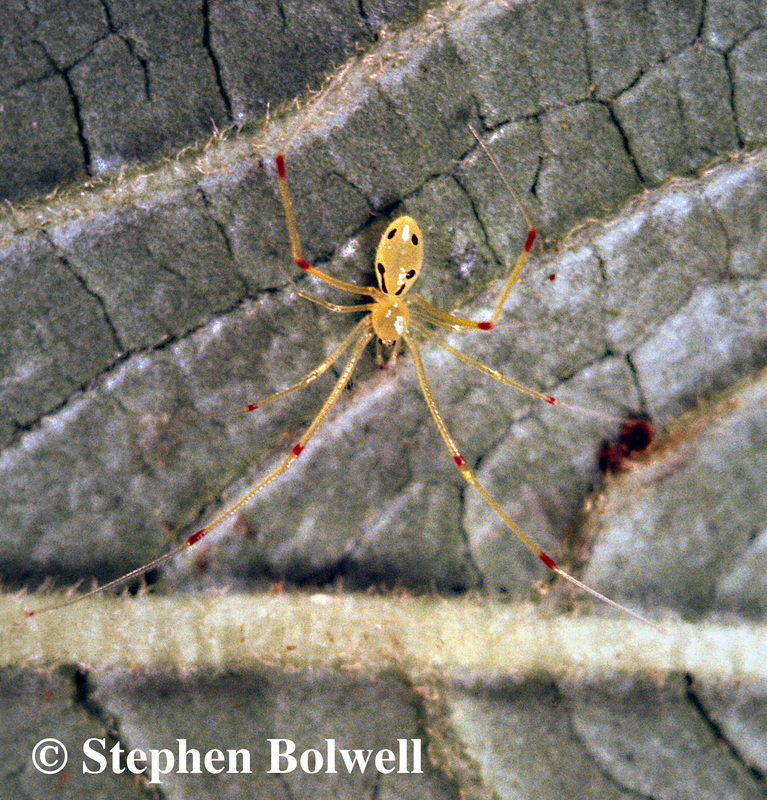 At the other end of the scale, invertebrates with greater complexity have evolved bilateral symmetry – where the right hand side of the body mirrors the left. This is a successful pattern common to a great many animals and all vertebrates; and species that display this form of symmetry require a system with far greater complexity than a nerve net to operate efficiently. Worms have it… and unsurprisingly they have evolved with much of their sensory equipment organised at the front end, because this is the first part of the body to experience new information. When I was a zoology student my supervisor Dr. Neil Croll introduced me to a nematode worm called Caenorhabitis elegans – this was a pivotal moment in my understanding of animal behaviour, which might sound odd, because C. elegans is only just visible to the naked eye at less than a millimetre in length. Despite its small size this worm has many plus points for study; most importantly it is not an infectious parasite and many millions can be found free living in just a handful of soil. One of the reasons C. elegans is useful for scientific study is the presence of a developed nervous system – there is a nerve ring near the front end, with a number of ganglia running through the body, but in many other respects this is an uncomplicated creature. For animal behaviourists C. elegans is a great place to start because when it receives an appropriate stimulus, it will respond without the inconsistent behaviour so often displayed by animals carrying the expensive burden of a brain. C. elegans was the first animal to have all of it’s cells mapped – it is known where each cell starts out and where each one ends up, and all neural connections are understood. How great is that! It was also the first animal to have its genome mapped. And my favourite fact – it was the only survivor of NASA’s Columbia space shuttle disaster when the spacecraft broke up on re-entry into the Earth’s atmosphere. For such a small creature this one has a lot going on inside, with some organs recognisably similar to our own. A digestive system running through the body from front to back is present and other internal organs can be clearly seen. The internal structure of this worm is impressive for an animal that, in the male, has only 1036 cells, a number that does not vary – the cells simply grow as the worm gets bigger. This little creature, has for many years been telling us interesting things about itself and also quite a lot about us, including details on the ageing process. 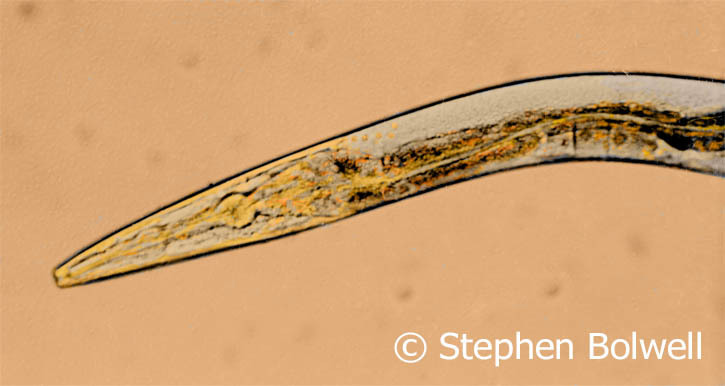 By the time I started making observations in the mid 1970s C. elegans was already considered a key species for scientific investigation, but everything about it was new to me and a complete revelation. I placed my worm at random on an agar plate in a petri dish, put a measured dollop of food some way off and then recorded the route left in the medium as it travelled towards its dinner. Essentially the worm made its way up a diffusing food gradient by a very simple mechanism. It travelled straight, but on sensing food began to turn; and the closer it got to food the more it turned. A food finding behaviour that is delightfully simple. I dropped my worm off at A, and waited a while until it arrived at the food source B. A trail across the agar plate clearly recorded the nematodes progress and it is seen to turn more as it gets closer to the food source (this worm always turned right). I haven’t looked at this negative since 1974 and I still think it a wonderful thing to see. It is no surprise that the worm model has been such an evolutionary success. As the front end of any worm progresses, it picks up available information from the environment ahead, and then its nervous system can assess various uncomplicated options: if all is well the worm might progress, but when required it can draw back a little and move off in another direction. What a worm does is simply governed by what it senses as it moves forward, and for the worm and many other uncomplicated creatures, this is a very practical way of approaching the world. Some years ago I went to North America to film some of the oldest and most important fossils so far discovered; they are in the Burgess Shale located in the Canadian Rockies. I set up to film collections in both The Royal Ontario Museum in Toronto and the Smithsonian Institute in Washington and was lucky enough to see some of the finest specimens available from this very early period. 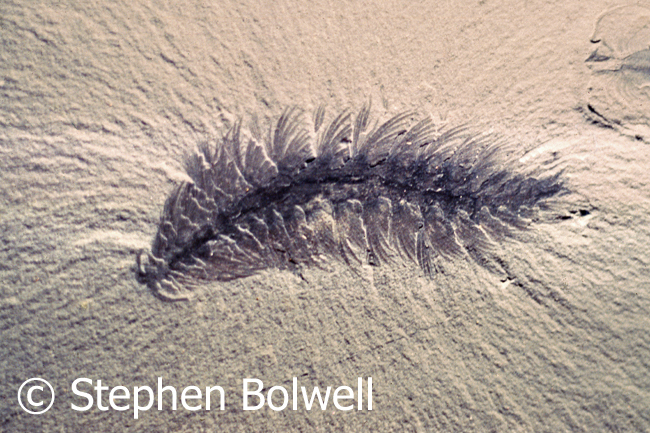 A fossil of Canadia spinosa – a swimming worm with long bristles preserved in the Burgess Shale which demonstrates that the worm format has been around for a very long time. The remains although shallow and difficult to photograph are remarkably clear. The shale includes creatures that look like sea anemones preserved in deposits laid down some 500 million years ago, along with worm like creatures similar to forms we see today; and there are many other extraordinary fossils of animals that are now lost to us, or difficult to identify. Nevertheless, the Burgess Shale is presently one of the best opportunities to look back to the Pre-Cambrian explosion, a period of time when the fundamental ecology of modern marine ecosystems was first laid down. 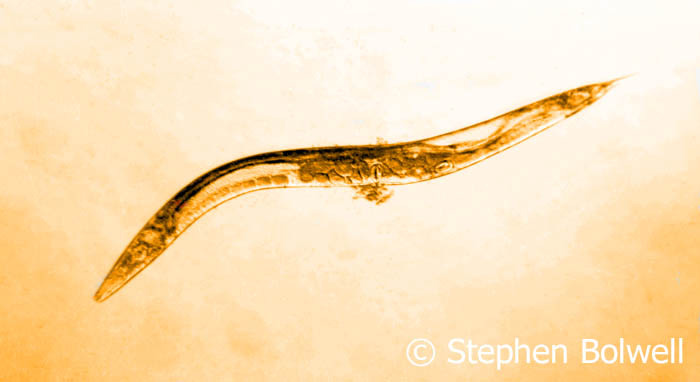 This dark field picture clearly shows a Nereis or ragworm moving forward and although I have no idea if this creature is closely related to Canadia spinosa from 500 million years ago, the resemblance in body form is clear – demonstrating that for some animals not a lot has changed for a very long time. I remember seeing the anatomical arrangement (below) way back when I was a zoology student, although I haven’t found it necessary to look inside an earthworm since, because nothing has changed. Clearly a group of nerves run up to the front end where most of the sensory information is received as the worm moves forward. Diagram of a dissection of the anterior (front end) of an earthworm (Lumbricus) which shows the nervous system (shown in white) running mostly along the lower (ventral side). This is quite the reverse of what we would expect to see when looking inside an early vertebrate where the spinal nerve clearly runs dorsally. In the above schematic view most of the internal organs have been removed for clarity, but the front end of the food canal is left in place to show how the nervous system wraps around to form a couple of nerve bundles on the upper side – the closest thing a worm has to a brain. Internally, a main nerve runs down the ventral wall of the body with three nerves coming off on either side in each segment, and these mostly activate muscles for locomotion. Apart from an area dedicated to reproduction, this model repeats itself along the the length of the body and so it is only necessary to display a couple of segments. It is believed that our ancestors were once worm like creatures and we would need to go back around 600 million years to find a common ancestor. It would seem a mistake though to conclude that we have evolved directly from worm ancestors on the same branch as the worms as we see today where the main nerve runs ventrally. To re-arrange this to the dorsal side in line with how all vertebrates are organised would require a leap of imagination, because evolution can’t retrace its steps and rearrange anatomical features without leaving a trace. Animals are stuck with what they’ve already got and must adapt from there. Maybe at some point a worm stood on its tail, and went with Alice through into the Looking Glass World and as it did so, inverted. 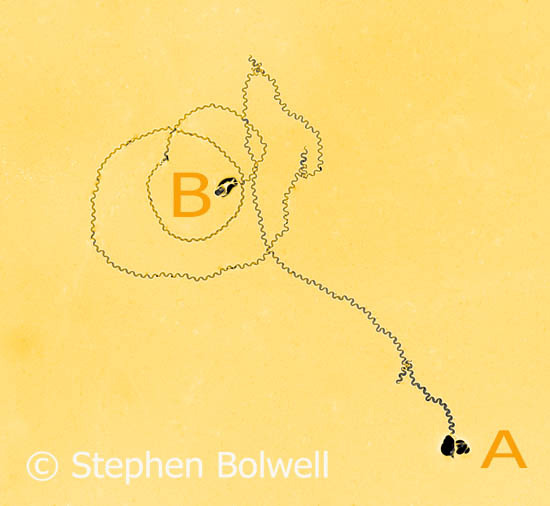 My student textbook on Invertebrates by A.S. Romer makes a joke about this switch with a diagram that shows a worm/vertebrate flip where the text details for the vertebrate are turned upside down. Romer then goes on to explain that this inversion creates as many problems as it answers as there are several other anatomical changes that must also occur that are difficult to explain. Maybe the Vertebrate plan was laid down far earlier. When I was a student there were various theories, but nobody seemed to know for certain. In the Burgess Shale a ‘wormlike’ creature has been discovered that appears to have a nerve chord running down the dorsal side. While photographing the Burgess Shale, I was lucky enough to photograph Pikaia gracilens (which is about 5 cms. 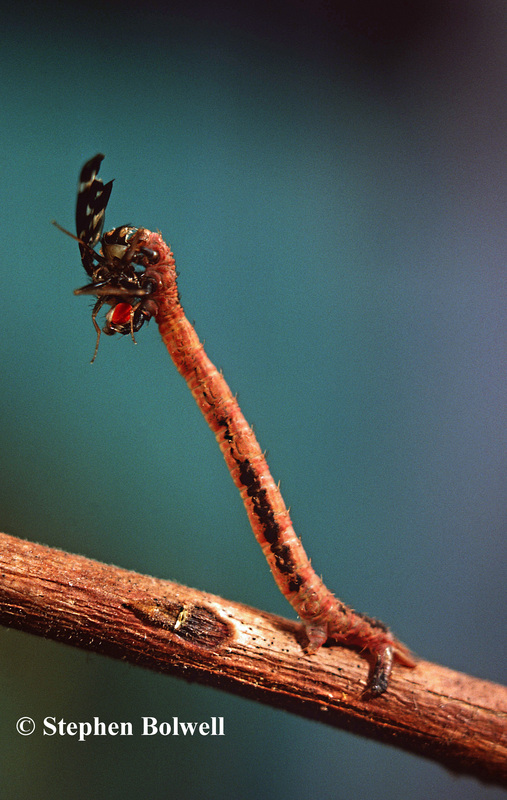 in length), a specimen that so far, has been found nowhere else. Unfortunately, the fossils I saw didn’t show much clarity, hence my artists impression of this creature which appears to be an early chordate form. 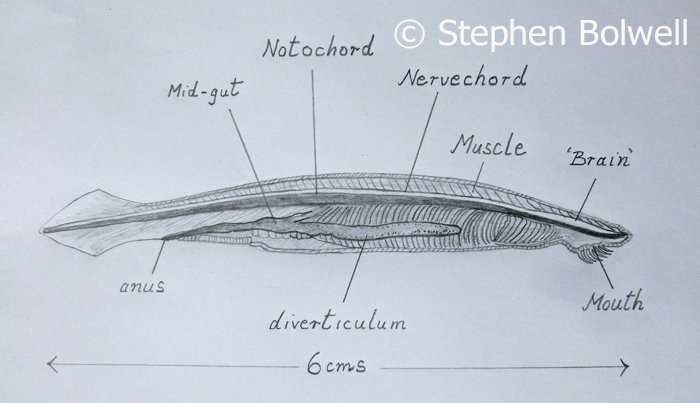 It was probably a capable swimmer, but anatomically it doesn’t manage to tick all the boxes as the forerunner of modern chordates. i.e. animals with spines that support and protect a major nerve chord. 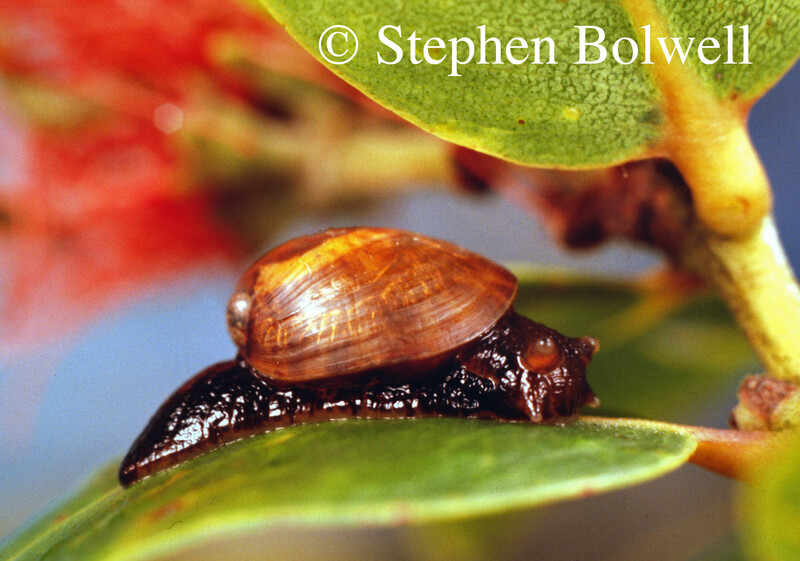 Pikaia might not be the forerunner of all mammals, but is probably a close relative. There are now better claimants to the chordate line from the Chengjiang fossil deposits in China where jawless fish have been found that predate specimens from the Burgess Shale by around 17 million years, but as I write from personal experience and haven’t had the good fortune to see these fossils, it would be cheap to make a drawing from somebody else’s photographs. Ignoring for a minute the fossil records, another approach taken by the European Molecular Biology Laboratory published in early 2010, made a comparison of the small molecules that regulate gene expression; these from similar organs in widely different animals. A marine annelid worm Platynereis dumerilii which hasn’t changed much over 600 million years appears to have micro molecules highly specific to certain tissues including the nervous system, and these are shared similarly in the tissue of many vertebrates including ourselves, which suggests a common ancestry. We can’t be sure if we evolved from exactly the same ancestor as the worms we see today, but go back far enough and at some stage there must have been a common ancestor and whatever it was, it won’t have been pretty. 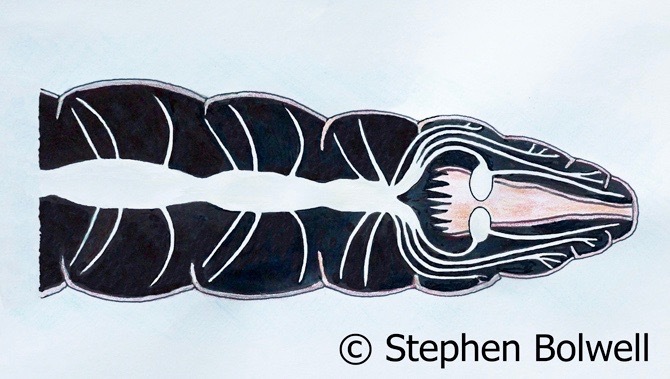 The dubious honour of the most basic animal around today equipped with a spinal chord falls to about 30 species know as a lancelets or amphioxus – a small translucent marine creature that I was also expected to ‘look into’ as a student. Cephalochordates, are a closely related primitive form of Chordate; they display many of the attributes common to Vertebrates and this includes a brain… More truthfully this is just a bump at the head end of the nerve chord – which explains why they are not renowned as great thinkers. Amphioxus – is classified in the sub-Phylum Cephalochordata. This drawing of a vertical section through a specimen made when I was a student clearly shows a nerve chord running along the dorsal side. 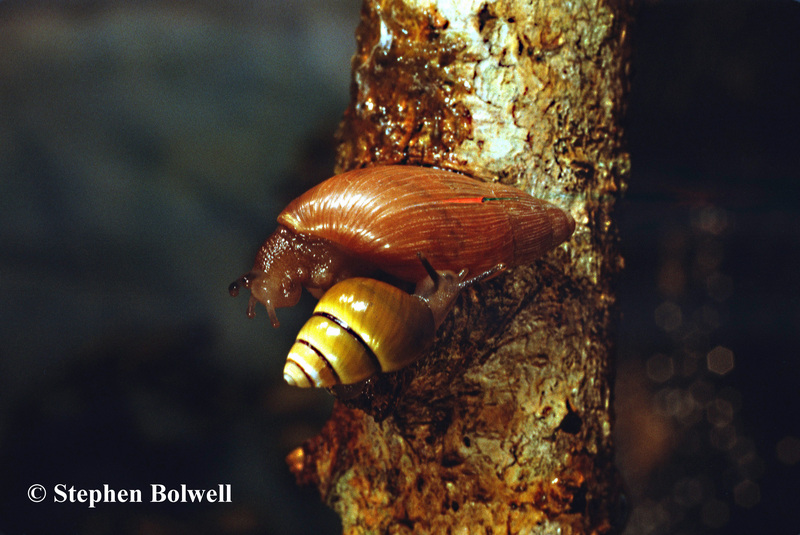 Invertebrates remain unloved by most of us, even so they are an important part of ecological systems. Animals that we should perhaps notice more and photograph when we see them to remind us of the many uncared for and unnamed species lost worldwide on a daily basis. Creatures that have been around for more than 500 million years are disappearing with increasing frequency and many are more consequential to our existence than we realise. It is as well to remember that we cannot exist entirely in a world of our own making in which only ‘the pretty things’ survive because we have chosen to protect them. We are part of an ecosystem… not a zoo. I know there are many people who would prefer not to think we are closely related to apes let alone worms… and that’s a pity because if we could see ourselves as part of a natural progression that goes back to our invertebrate ancestors, we might have more respect for the many odd looking creatures still with us today. The Ascent of Man – a good walk spoilt? You might wonder if our evolutionary course has been an entirely successful journey. Our brain may have evolved from uncomplicated beginnings, but after all that evolutionary effort we don’t always look after this our most precious asset… neither do we always use our brains to best advantage. In reality the fossil record is sparse, but today we don’t have to rely upon looking for chance deposits from the distant past to gain an understanding of the natural world around us, all we have to do is look. If back in the mists of time, each strange creature could have been recorded as thoroughly as is possible today, we might have a better understanding of which of those odd looking invertebrates were truly our ancestors. N.B. A recent paper in ‘Nature’ suggests that a micro-fossil found in China may be our oldest known ancestor. 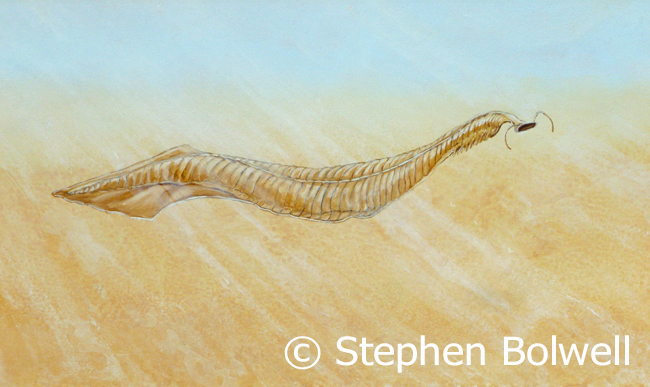 Saccorhytus coronarius was a tiny bag-like creature that probably lived between grains of sand on the sea-bed around 540 million years ago, thought to be a primitive “Deuterostome“. Deuterostomes are a broad category that includes the Vertebrates. (Source: St John’s College, University of Cambridge. Jan 2017). With thanks to David Barlow for his Nereis picture. See David Barlow Archive. Next time: Before We Had Brains Part 2. A look at Arthropods and other creatures with nervous systems so different from our own, they might just as well be aliens.